I Love My Amazing Animals: It's Award Day Wednesday! 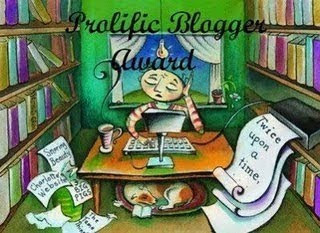 I want to thank Sitka and his Mom, Andrea at All Gods Creatures for the Prolific Blogger Award! I'm just a tad late posting it, but for any of my bloggy friends that would like to take it, please do! 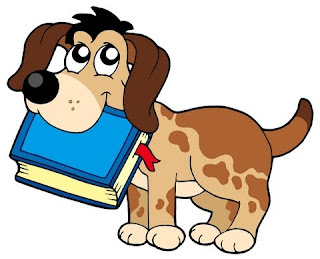 Anyone who reads my blog, should get an award! Congratulations; it's a great award! We hope you aren't as tired/stressed as the cartoon woman, though. LOL. ConCats on your award and thanx for passing it along to us! What a cool Award! Congratulations. We love your Award Day badge - very clever. Congrats on your award too, that is one we haven't seen before. Happy Award Day to you. AMEN to your comment on arise 2 write. Jen's Dad was murdered. He lived homeless in Florida. He was on drugs/alcohol. He has been in and out of jail all of Jen's life. Her grandparents raised her b/c her mother left when she was "very" young. She is the youngest of 3 children and the only one who is truly responsible. The other two siblings expect her to pay to bury her dad, etc. Jen is only 23 yrs old and has some very tough decisions to make. I know she will do the right thing. Thanks for your continued prayers for her. Congrats Deb!! Cute award!! You deserve it! !